Control of snow molds at Marquette Golf Club. 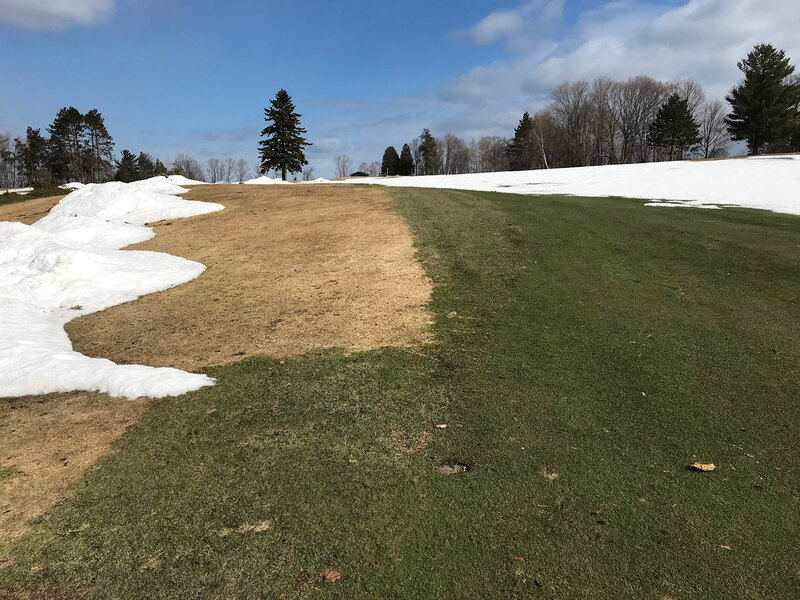 Photo provided by Craig Moore (@MarquetteGolf on Tiwtter), Superintendent at Marquette Golf Club, Marquette, MI. Fairways were treated with a half rate of Enclave (combination product including: chlorothalonil, iprodione, thiophanate methyl, tebuconazole), 2 oz of Chlorothalonil, Trinexapac Ethyl and 5 oz ferrous sulfate all per 1000 sq ft. Application was made on October 29, 2018, two weeks before permanent winter snow cover. Non-treated areas are clearly delineated and the foliage has been severely damaged by snow molds.